DeM Banter: How much is enough? We seem to be running headlong into a 1984-esqu dystopian society and what is shocking is there is not more of an outcry. We need a “roles and missions” conversation and a constitutional review. If we could be more transparent in how we discussed and how we illustrate success or failure in these efforts, I can not help but see benefits. Interesting times…no? The government’s ever-expanding culture of secrecy is excessive, unnecessary, and destructive. Three disclosures this week show that the United States is losing its way in the struggle against terrorism. Sweeping government efforts to stop attacks are backfiring abroad and infringing on basic rights at home. CIA drone strikes are killing scores of civilians in Pakistan and Yemen. The National Security Agency is eavesdropping on tens of millions of phone calls worldwide — including those of 35 foreign leaders — in the name of U.S. security. And the Department of Homeland Security is using algorithms to “prescreen” travelers before they board domestic flights, reviewing government and private databases that include Americans’ tax identification numbers, car registrations and property records. 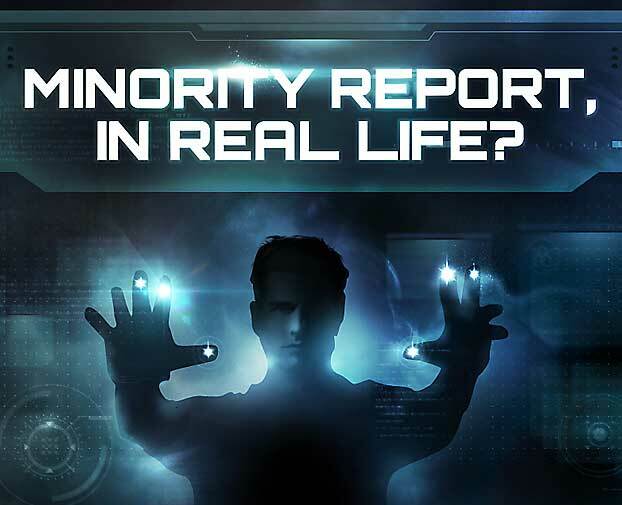 Will we create a Minority Report-style Department of Precrime next? Obama administration officials have a duty to protect Americans from terrorism. But out-of-control NSA surveillance, an ever-expanding culture of secrecy and still-classified rules for how and when foreigners and even Americans can be killed by drone strikes are excessive, unnecessary and destructive. Twelve years after September 11, 2001, the United States’ obsession with al Qaeda is doing more damage to the nation than the terrorist group itself. Two new reports issued this week by Amnesty International and Human Rights Watch detailed dozens of civilian deaths caused by drone strikes in Pakistan and Yemen. Classified documents obtained by the Washington Post suggest that CIA officials who carry out the strikes make little effort to track civilian deaths. Documents leaked by whistleblower Edward J. Snowden emerged this week, revealing NSA phone monitoring of German Chancellor Angela Merkel, 35 unidentified heads of state, and 70 million calls in France. The extent of the surveillance is sparking widespread indignation and endangering joint counter-terrorism operations among Germany, France and the United States. There is a serious terrorist threat to the United States. The administration is under enormous pressure to prevent attacks. But there are ways to safeguard the United States without sparking such a serious backlash abroad and at home. Military control is one step toward a key goal: greater transparency in countries where drone strikes are enormously unpopular. Keeping the drone strikes as a covert CIA-run program makes accountability and determining the true number of civilian deaths impossible, she said. If strikes are commanded by the military and disclosed publicly, reports of civilian casualties could be investigated under military law and compensation paid to victims — as now happens in Afghanistan. Holewinski also urged the administration to disclose targeting rules that it has refused to make public. How are civilians defined? And how are civilian casualties assessed? What is the legal definition of an individual who can be targeted? She credited the administration for a decrease in drone strikes since Obama promised one in May. But, she insisted, the targeting process needs to be far more transparent. Inside the United States, meanwhile, press reports emerged on Monday that the Transportation Security Administration is expanding its prescreening of airline passengers to include government and private databases that contain employment information, property records and physical characteristics. Khaliah Barnes, a lawyer with the Electronic Privacy Information Center, which opposes this prescreening, said many Americans do not grasp the current scale of domestic government data mining. A bipartisan proposal to rein in government surveillance unveiled last month by Senators Ron Wyden (D-Ore.), Mark Udall (D-Colo.), Richard Blumenthal (D-Conn.), and Rand Paul (R-Ky.) is a good start. The measure would end the bulk collection of American’s communications records; limit Washington’s ability to obtain information from Google and other online providers, and make the secret court that oversees U.S. surveillance operations far more transparent. After months of promising change, Obama should back the senators’ proposal. He should also enact Holewinski’s recommendations for making drone strikes more transparent. Terrorists already know that the United States monitors phone calls and emails worldwide. They already masquerade as civilians in areas where drones operate. Making drone strikes, NSA surveillance and TSA screening more transparent will build trust at home and solidify counter-terrorism cooperation abroad. If there is one ideal that Obama needs to embrace, it’s transparency. It is a strength, not a weakness.